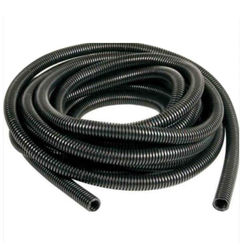 Prominent & Leading Wholesale Trader from New Delhi, we offer conduit hose pipe and hydraulic hose pipe. We are one of the leading manufacturers of high-quality Conduit Hose Pipe. Flexible conduit-hose pipe provides an protection to wires and cables from air,water,fire, dust, oil, acids etc. We have gained immense popularity and success for ourselves in the market by offering impressive quality Hydraulic Hose Pipe. Our provided hose is efficiently manufactured under our deft professionals' guidance by utilizing optimum quality raw materials as per the given industry norms of quality. This pipe is specially designed for transferring gas, fuel, oil, etc. from tanks and mines. Apart from that, we offer this Hydraulic Hose Pipe in numerous sizes and thicknesses at minimal prices. 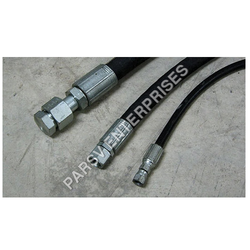 Looking for Hydraulic Hose Pipe ?